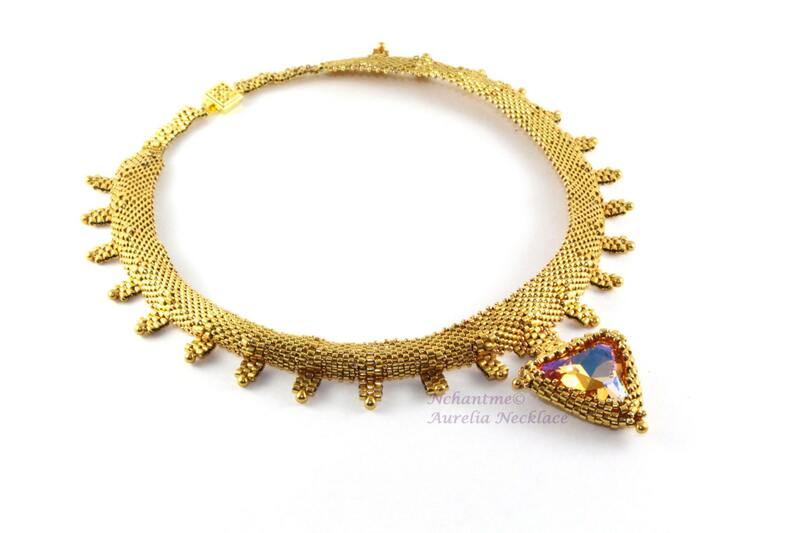 Heritage meets high style -- this semi-rigid necklace draws inspiration from simple hammered gold jewelry from ancient civilizations and gives it a contemporary look with a triangular crystal pendant. 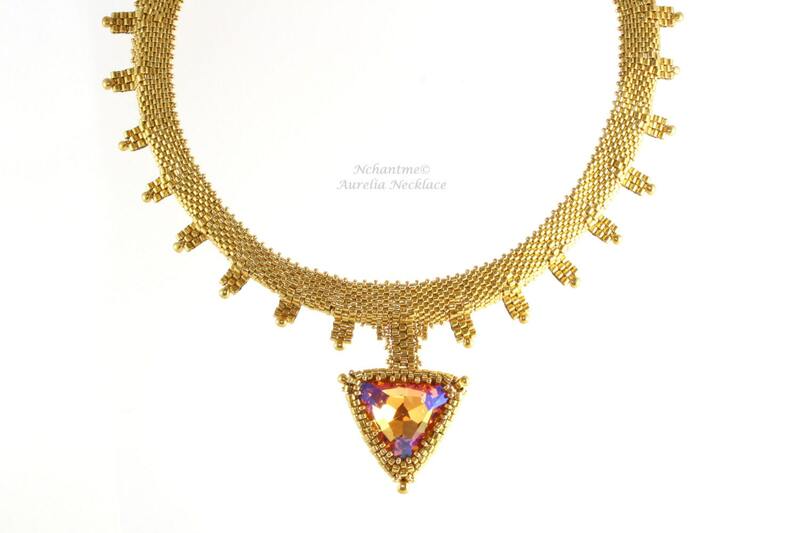 This design calls for Miyuki delica beads in 2 sizes, seed beads and Swarovski Crystal triangle. 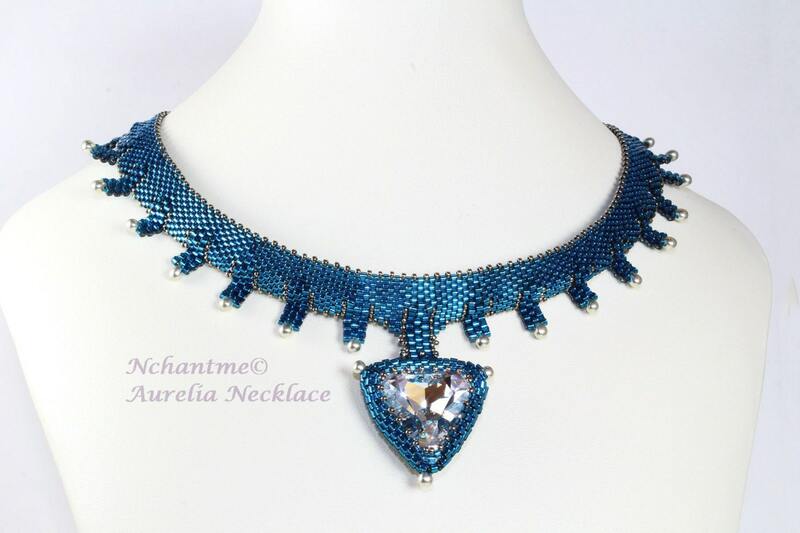 Techniques: Peyote Stitch, Ndebele Herringbone, other embellishment stitches, basic wire skills. Level: Intermediate. Must be very comfortable with peyote stitch, odd and even count. Pattern includes 34 beautiful, step-by-step illustrations with clear instructions in English.